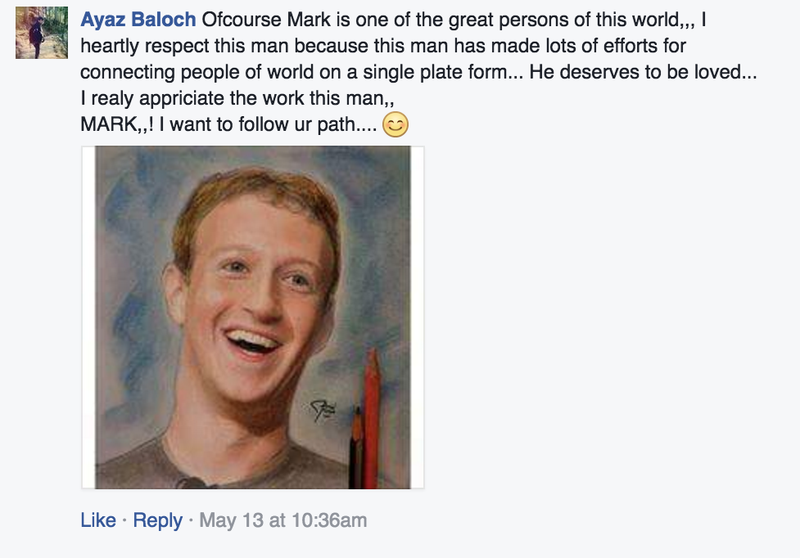 Mark Zuckerberg, who made a fortune turning his own social anxieties into a website, is an odd person to fawn over. He’s not a great public speaker. His motivations are questionable. 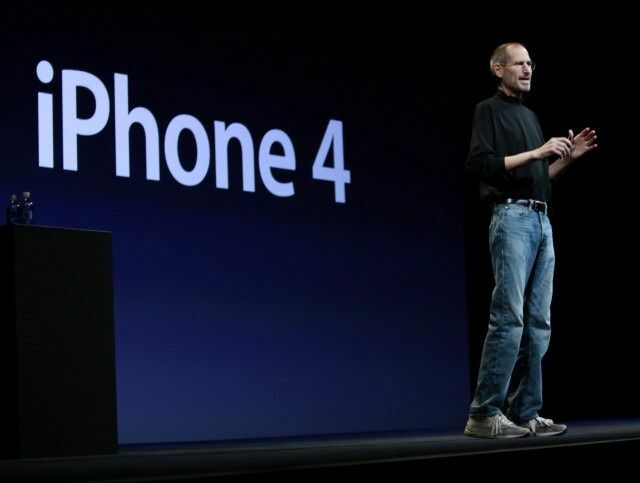 And he copied his fashion sensibilities from a likely sociopath. And yet! 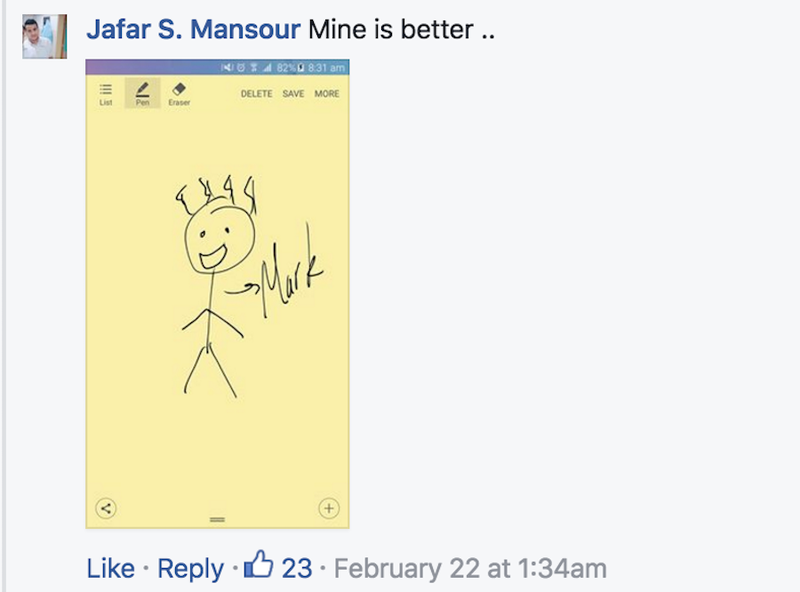 Some members of Facebook are enamoured with him. 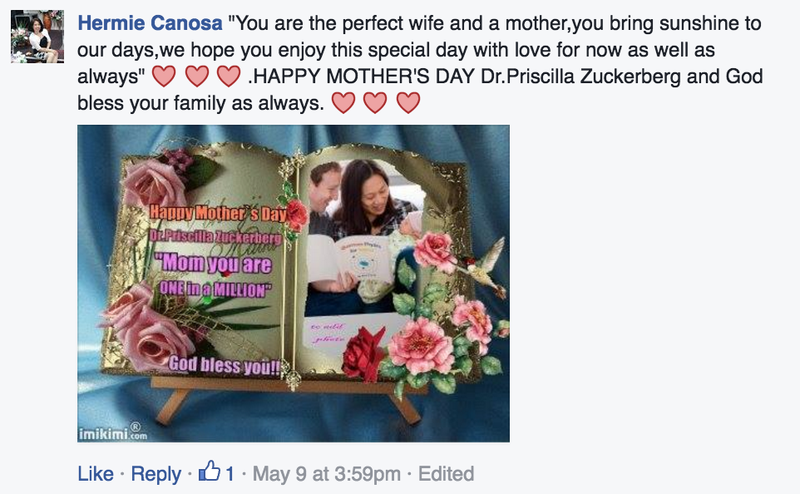 So much so that they’ve taken to blanketing his Timeline with their own, lovingly crafted fan art — each Zuckin' creepier than the last. 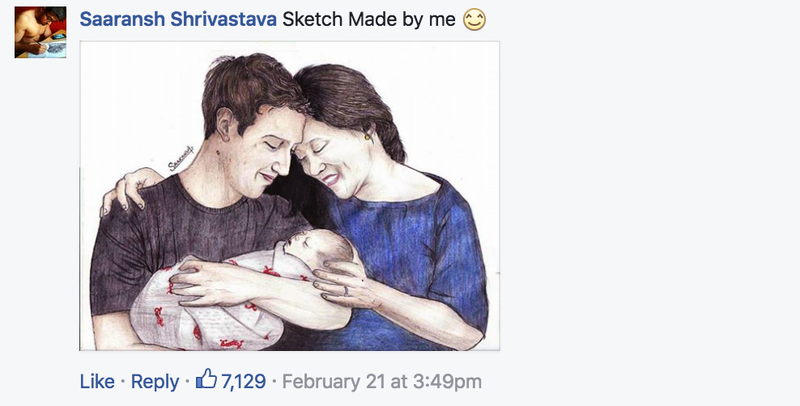 Often, the portraits mimic a particularly popular picture of Zuckerberg, like this one with his wife and his daughter Max. 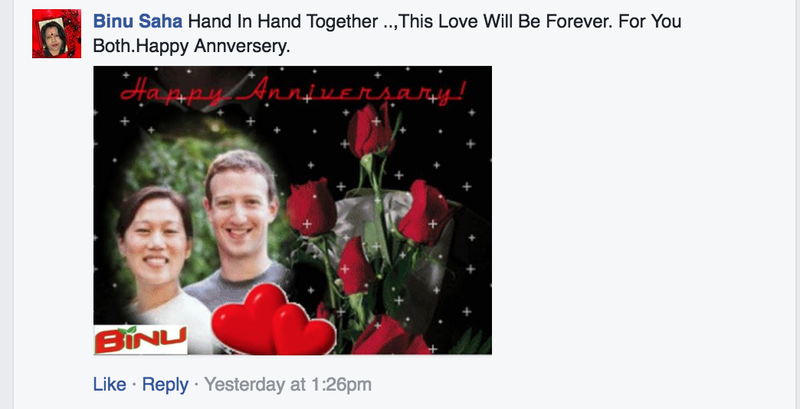 Occasionally, these billionaire boy-man-obsessives will go rogue, and paint the Zuck they see when they close their eyes to dream. 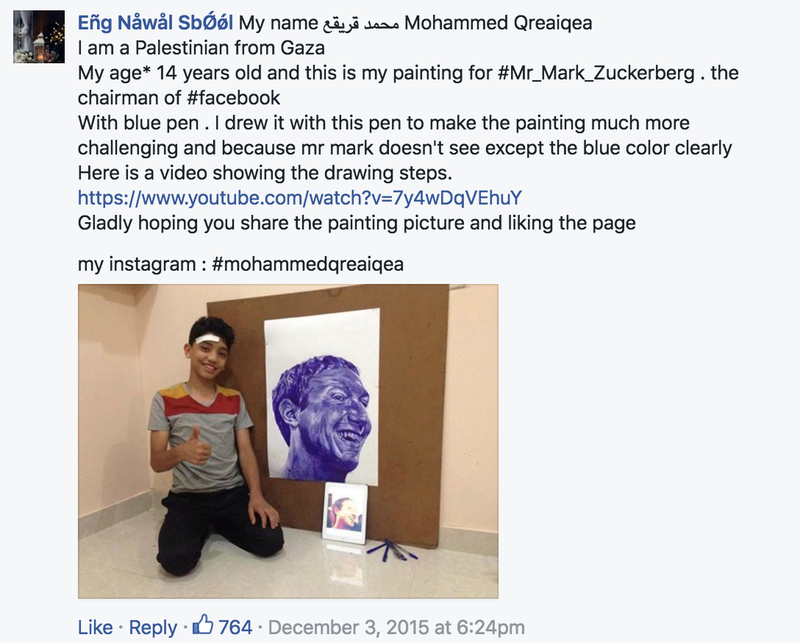 In almost every instance, though, users fall over themselves to show Facebook’s CEO just how much they care. 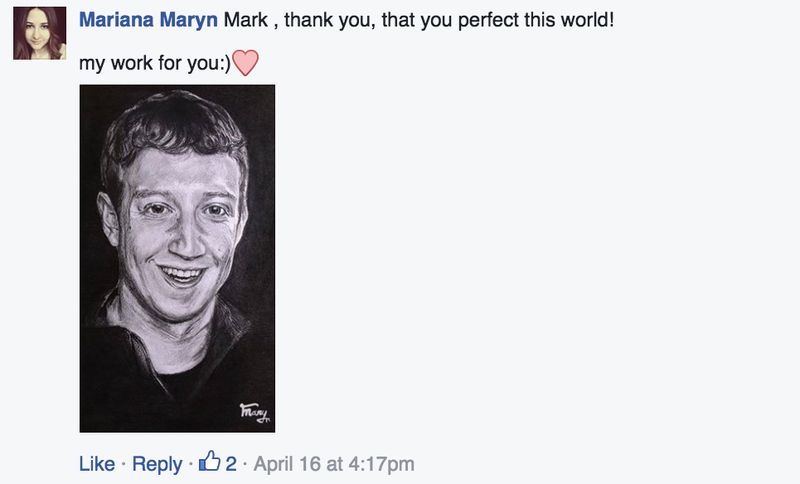 Without further ado and for your viewing pleasure, I present a Zuckerberg fan art sampling. Please, enjoy. Also unlike many of the other portraits, this one actually seems to have been posted by its original creator. On her website, the artist, Tumi Sibambo, notes that she made this portrait “during my lunch hours, to thank him for creating such an awesome social media tool”. 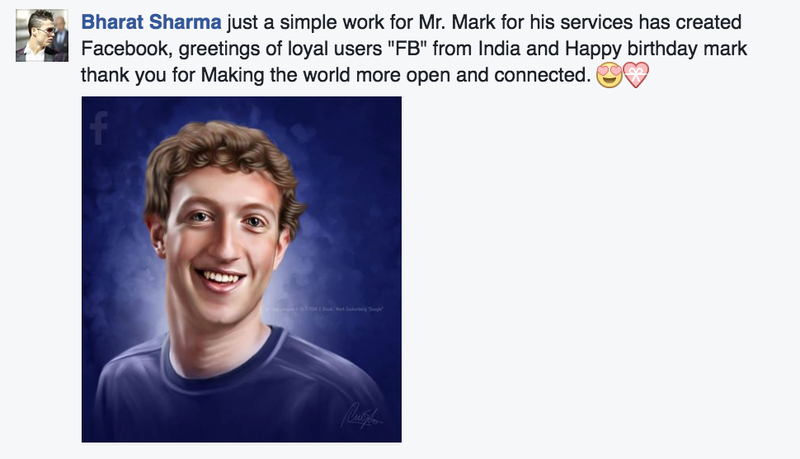 Now, this portrait actually shows up on almost every single one of Zuckerberg’s posts, often coming from a number of different people. 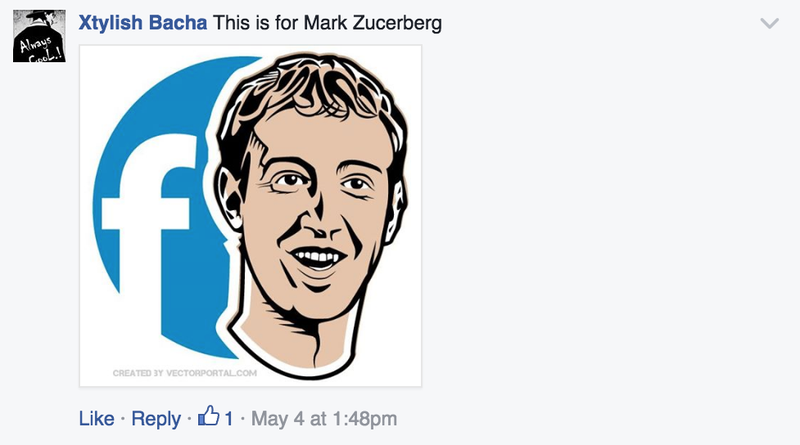 The image is usually accompanied by the same message, more or less, making it seem as though it’s been integrated into some collection of Zuck comment bots. 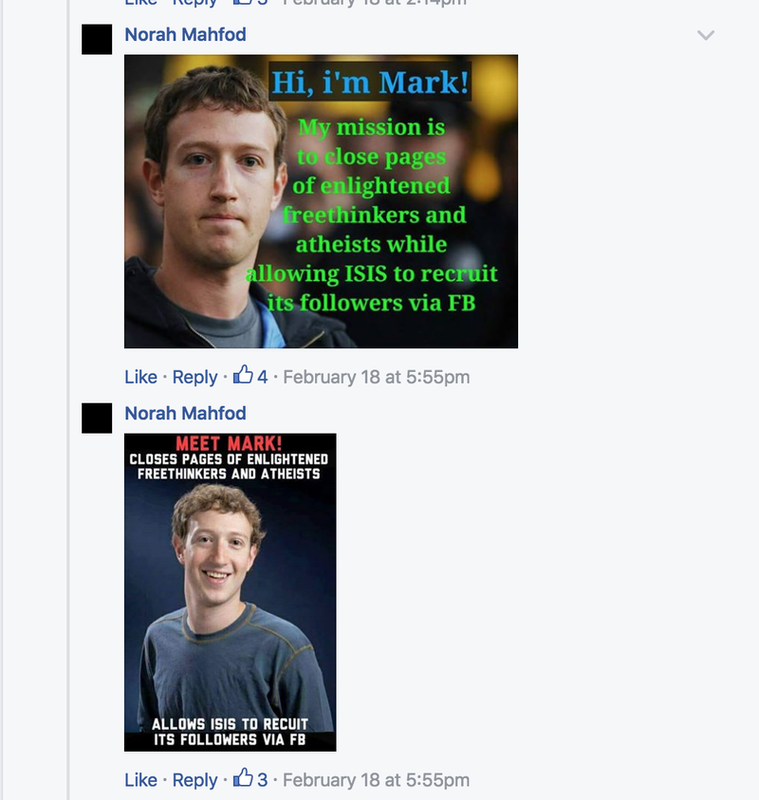 Why anyone who isn’t Mark Zuckerberg would spend his time creating an army of Zuck praise bots, however, is beyond me. We’ve reached out to Mark Zuckerberg to ask if he has, in fact, created a complex series of bots with the sole purpose of doling out compliments and plastering his own face on his Facebook posts. 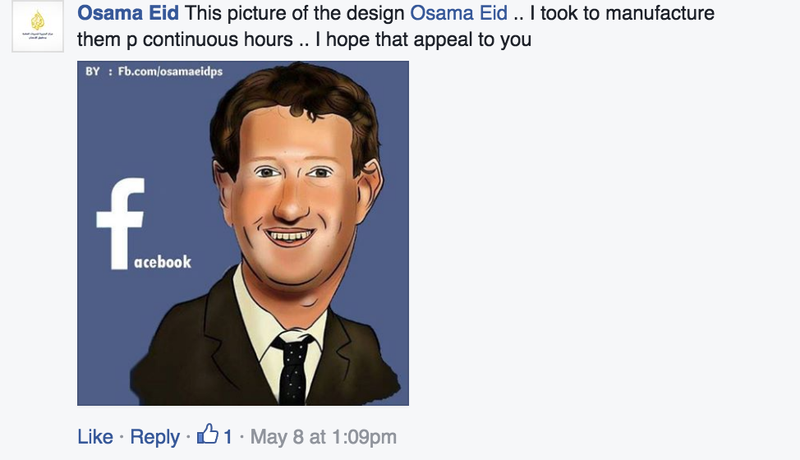 At the time of publication, Zuckerberg has not yet responded to our request for comment. Regardless, it’s the unique, cruder drawings that will always be the more interesting of the bunch. 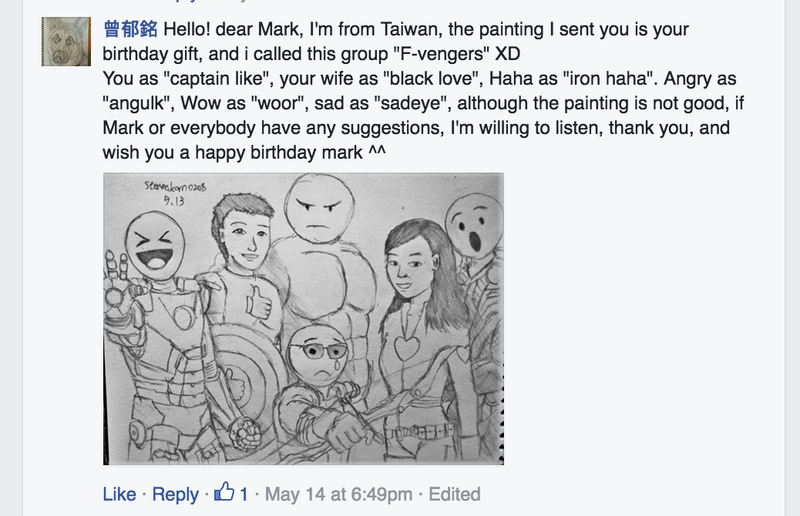 Like this one of Captain Like and the rest of his F-vengers. Friend — I have not a single suggestion. You’ve made something perfect. Here, and still on his birthday post, we have a personal favourite of mine, if not simply for the masterwork in the background. Which is Facebook wonderboy Mark Zuckerberg and which is Oscar award-winner (even though The Revenant was crap) Leonardo DiCaprio? It’s impossible to say for sure. Yet, despite it ostensibly being Priscilla’s special day, Mark was still the belle of the ball. Which is, truthfully, a very good prank. A devoted fan left Mark a little familial surprise. Still (and unfortunately for Zuck), it’s not all quite so adulatory. But these instances are relatively few and far between. 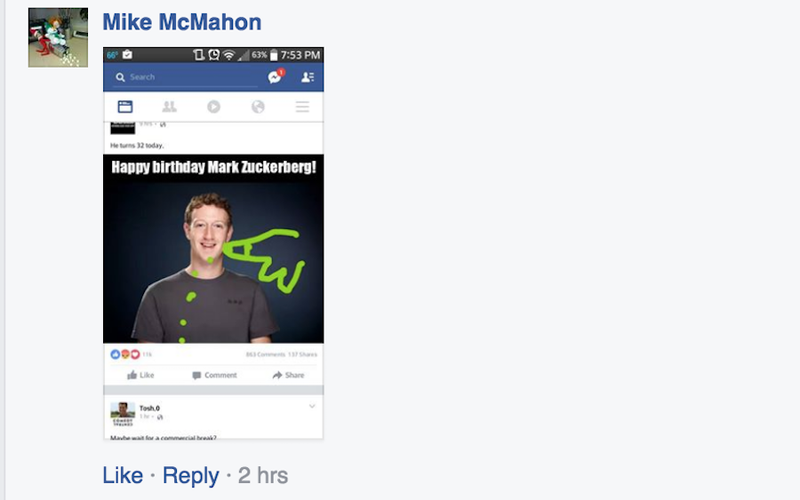 Zuck, for his part, doesn’t seem quite so keen on returning the favour. 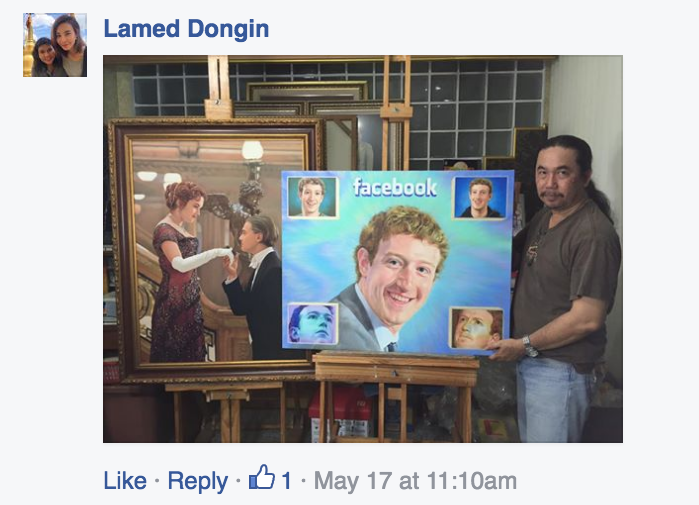 As far as I can tell, he has yet to comment on a single one of his portraits. 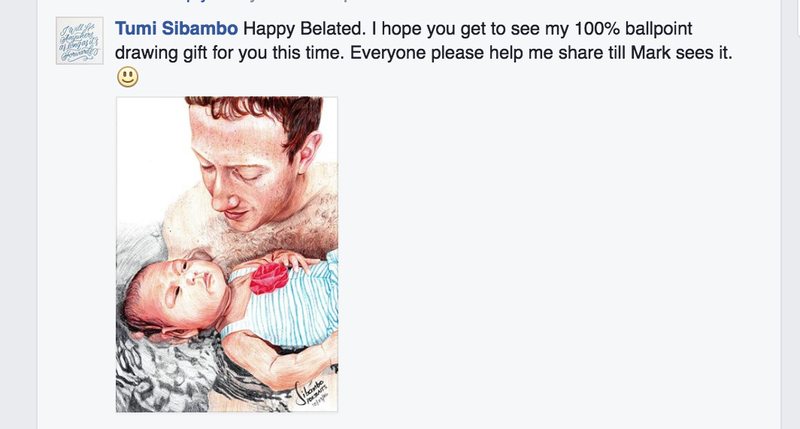 But don’t let the filthy rich cherub’s lack of interest discourage you, Zuck artists. Because either way, I appreciate it. And I beg of you – please — never stop.